A big secrecy is open in Tulln, Lower Austria, a Camel Skelton has been found which was 17th Century old Genetic analyses showed that the animal was a male hybrid of a dromedary in the maternal line and a Bactrian camel in the paternal line. The find is unique for Central Europe. 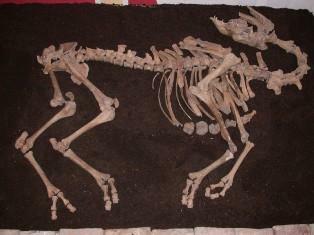 Archeologist found the information about camel’s skeleton which was acknowledged by Skeleton’s bones that approximately alive in 17 Century most likely died in the city of Tulln, Group Archeologists and geneticists from the Vetmeduni Vienna now published their findings in the journal PLOS ONE. Team of Archeologists are investigating via Animal bones and Ceramic plates and some other things are like coin, which was also called Rechenpfenning found in their place. A medieval remedy from the chemist's shop Apotheke zur Goldenen Krone in Vienna was also found at the site.